Did you know that there is a very specific grammatical rule that governs the order in which a string of adjectives should be listed? 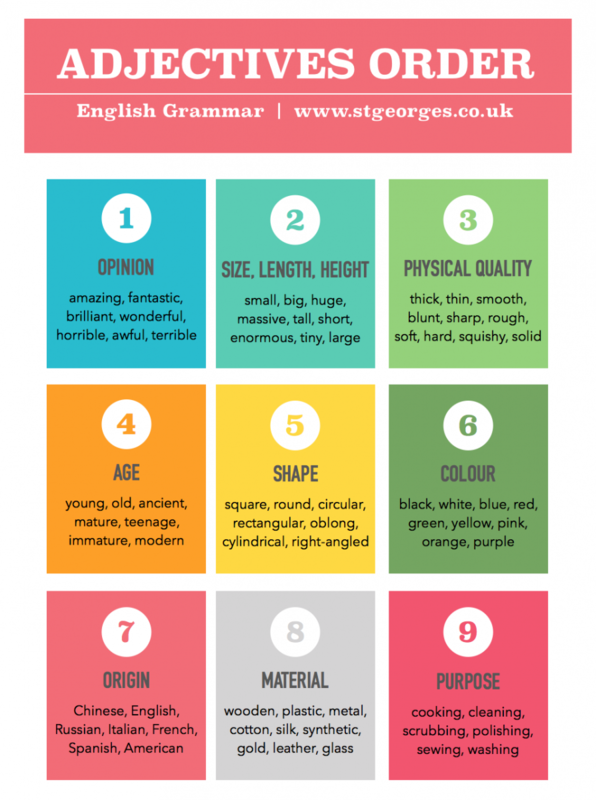 You can read more about “Rules of English Grammar That We Didn’t Know We Knew” in the Support for Struggling Readers Blog. WHAT DO YOU SEE WHEN YOU LOOK AT THE IMAGE ON THE LEFT? A little red Italian sports car? Or a sports red Italian little car? 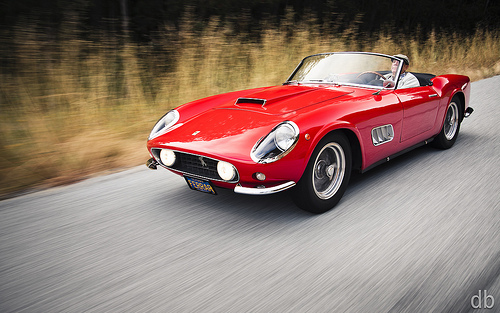 How about a little sports Italian red car? 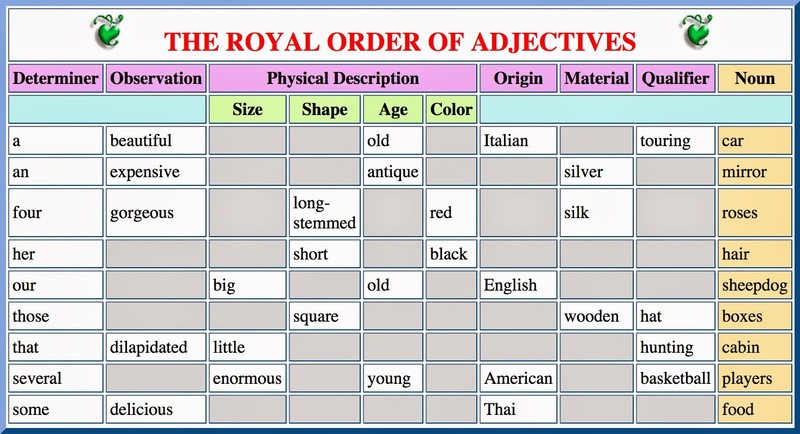 The chart below is from http://grammar.ccc.commnet.edu/grammar/adjectives.htm. Have students work collaboratively to create a generalization about the order in which adjectives go together. Discuss the choices the students made. Together, categorize the various types of adjectives (e.g., color, function, opinion). Then look for patterns in the order in which the adjectives are most effectively placed in each phrase. Create an anchor chart such as the one on the right. You can use an existing chart, but it’s more effective for students to generate the adjectives in each category. For practice, provide groups of students with nouns and have them choose adjectives from two or three different categories to generate sentences.